How Long Do Guinea Pigs Sleep For? When it comes to sleeping, guinea pigs do not sleep for long periods at all. In fact they do not have sustained periods of sleep like humans do. Instead, they tend to have short naps when they need to which vary in length depending on whether they are disturbed. They are very light sleepers and are always listening out for predators that may get them. So when it comes to how long they sleep for, it can range from a few minutes to a few hours at the most. However it is quite hard to tell whether they are asleep as they often sleep with their eyes open. But they are often very still when they sleep with their eyes not moving, so that is the only sign. When we first got a guinea pig we just got one cavy, a male called Rocket who we inherited from a friend. We didn’t know any better and so got him a hutch, some sawdust, some food and water and put him in there and thought he would be just fine. However the more we spent time getting to know about guinea pigs; who they are and what they are like, the more we discovered that they are not meant to be alone. The thing was that Rocket never squeaked at all, in fact we barely heard from him. He was very quiet and just used to sit around all day. So we got him another male to hang out with. Well he certainly got livelier. It took them some time to get used to, but after a period of bedding in, he is much livelier. He now lives with 3 other males and they are very happy squeaking away and chasing each other around, eating whatever they can find. They are very comfortable living with each other. They occasionally fight and don’t get on, but most of the time the get on very well. 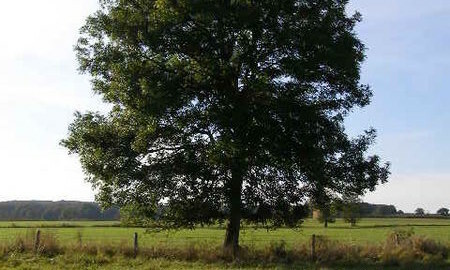 Guinea pigs are social animals and thrive in the company of others. So if you just have one guinea pig, do consider getting another. Can Guinea Pigs Wear Bows? Have you ever seen those pictures on Instagram or Pinterest with guinea pigs dressed up or decorated in items of clothing? This often done in order to make the look cute and invoke a reaction? There may be times when you feel a guinea pig might need an accessory or two to help decorate them a bit. So can guinea pigs wear bows at all and will they mind? Unfortunately, accessories like bows, guinea pigs find very irritating and they will try and rip it off as soon as possible. They do not enjoy wearing anything like this at all so it just isn’t worth trying to put anything like a bow on them. Guinea pigs are cute enough in their own skin and fur without the need for putting items like bows on them. They will much prefer being given a delicious treat or two, then having clothes or other items put on them. Can guinea pigs wear collars? One thing that helps cat and dog owners is for their animals to wear a collar to help identify them and to attatch a lead to in terms of a dog. So can guinea pigs wear collars at all? Collars are not good for guinea pigs to wear. They are very comfortable for them and just not suitable for them to wear. They will find it quite distressing to wear them and will look to get it off. If you must use something like this, then a harness is better and more comfortable for them. But personally I would not recommend putting anything on a guinea pig like this, it is just too cruel on them and would not do it to my piggies. Can guinea pigs wear diapers? A problem with letting a guinea pig have the run of your house or if you have them on your lap is that they do tend to pee and poop. They have the ability to hold their bladders for 15 minutes before they have to go, but they cannot last longer than that. So one of the things that you may be wondering is whether there is something like a diaper that can be put on a guinea pig to stop them pooping on your carpet or worse still on your lap. The thing is with guinea pigs is that they do not like anything attached to them like this. They are also very clean animals and will get very uncomfortable with having their poop and pee still close to them. It will just distress them. Unfortunately, its just one of the things we have to accept as owners that guinea pigs will poop and pee and you just need to be one hand to clean it up. Their poops are very small and solid but very easy to spot and their pee is in very small amounts so is very easy to clean. But whatever you do, don’t put a diaper on them. Can Guinea Pigs Wear Clothes? 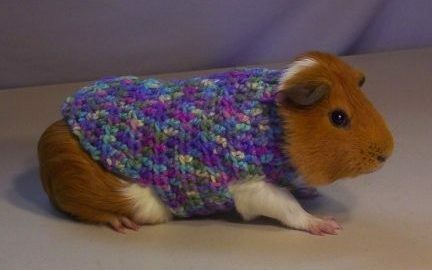 With temperatures still quite cold, a question that may come up is can guinea pigs can wear clothes either to keep them warm or for decorative purposes. You may often see on Pinterest or Instagram pictures of guinea pigs in some kind of clothing to make them look cute and adorable. There is no need for guinea pigs to wear clothes at all. Firstly, they won’t like it at all. They are just used to it and much prefer being in their own skin without anything covering them. This goes for hairless guinea pigs as well. They will find it irritating and try to chew them off. Secondly, Guinea pigs with fur have it for a reason and that is to protect them from the cold. They use it along with their fat supplies to keep them warm if they are in cold environments. So it really isn’t worth putting anything on them, they are perfectly fine without them. Can Guinea Pigs Eat Human Vitamin C Tablets? We know that guinea pigs need vitamin c supplements because they cannot make their own. They are much like us and require help with getting their body the vitamin c it needs to be healthy. As humans, we will eat foods that have vitamin c in them to help us with this but we will also have vitamin c tablets to also help us with this. So if we have vitamin c tablets spare that we take ourselves, then can guinea pigs eat human vitamin c tablets? No guinea pigs can’t eat human vitamin c tablets. They are made specifically for humans and are not for guinea pigs to eat. There are specific guinea pig vitamin c pellets that are made with a guinea pig in mind. They are good for guinea pigs to take and will build them up, just like human vitamin c tablets build up humans. So stick to giving them guinea pig vitamin c tablets and steer clear of giving them human vitamin c tablets. Can Guinea Pigs Run on a Wheel? One of the things that hamsters and gerbils have is a wheel in their cage for them to run on. It hives them some exercise and a chance to have a run without leaving their cage. So can guinea pigs run on a wheel at all and is it safe for them to do so. Guinea pigs need to run as well and this could be a great way for them to get some exercise. Unfortunately they can’t as they are not safe for them to go on. They don’t have the agility that gerbils and hamsters of and are not suitable for them to go on. So it is best to steer clear of putting them on a wheel.